Renita DiStefano is the Vice President of Information Technology/Chief Information Officer for Seneca Gaming Corporation. Renita joined team Seneca in 2006 as the Customer Care Manager and has risen through the ranks to serve as Director of IT Security, Vice President of Information Technology, Chief Information Security Officer (CISO) and now Chief Information Officer. In her current role, Renita is responsible for driving the information technology strategy for multi-property gaming and hospitality operations. Renita holds a Bachelor’s in Business Administration & Information Systems as well as a Master of Business Administration (MBA). She holds a number of information technology and information security certifications and credentials including Certified Information Systems Security Professional (CISSP), CISM, CISA, CGEIT, CRISC and CSOX. John Filippe is an accomplished Resort Executive with over 25 years of Casino/Resort IT experience. He has worked nationally and internationally for several Resort properties, and across many types of resorts from commercial, tribal, and riverboat entertainment facilities. He was a vendor with Bally Gaming and Systems in the late 90’s, and worked with the large expansion of tribal gaming during that time. His unique style of IT management was featured in the book “The Tech Buzzkill: How Top IT Leaders Fend Off the Tech “Buzz” to Focus on the Business” by Gerry Robinson and Manish Sharma. He is currently the Executive Director of MIS for Quinault Beach Resort and Casino in Washington state. Eric has worked in IT for over 30 years, the last 20 years with Grand Casinos Mille Lacs and Hinckley. He and his team of 32 are responsible for keeping all Gaming, Hospitality, Infrastructure, and Back Office / Administrative systems running smoothly for 2 casinos, 5 hotels, 15+ Food & beverage venues and much more. Eric and his team also partner with the casinos operations teams to identify, evaluate, select, and implement new technologies that provide outstanding guest experiences, and streamline operations. Patrick Tinklenberg is the Vice President of Information Technology with Sycuan Casino where, for the last 6 years, he has been responsible for technology and strategy for the casino, hotel, and golf resort. Previously to this position, Patrick was the IT Director for the Barona Band of Mission Indians for 7 years where he ran the IT operations at all tribal government service facilities, government-supported enterprises, and the Barona Gaming Commission. A veteran of the IT industry for over 25 years, he has worked with companies in Hospitality, Transportation, Medicine, Real Estate, Government, Manufacturing, and Retail to align business objectives with technology. Since joining the Tribal IT industry in 2005 he has facilitated projects across all areas of government and casino operations. As a gaming operations executive, he has been instrumental in the implementation of innovative loyalty programs, digital content managements systems, CRM, and a number of strategic infrastructure initiatives. Highlights of government initiatives include: reservation-wide wireless broadband, GIS mapping, electronic document management, implementation of citizen service platforms, and unified communications. Mr. Santini’s tribal experience has been with the Salt River Pima Maricopa Indian Community in Scottsdale Arizona as their Chief Information Officer since 2009. His team oversees infrastructure, data security, data Center Operations, portfolio management, application, project management, providing desktop support and audio visual for all aspects of the gaming and non-gaming enterprise. Mr. Santini has extensive experience directing all aspects of IT and focuses on managing a cultural of change to create a professional environment based on mutual respect and open and consistent communications. Prior to Indian Gaming, Mr. Santini served 34 years in MIS, extensively with the “Big 5” major oil companies. Prior to accepting a position at Casino Arizona centered in Information Technology, Financial Services, Strategic Planning, IT Project Office, Facilities Management and Procurement. Mr. Santini has held managing positions at Standard Oil of Ohio now BP, senior positions at Tosco, Phillips 66, ConocoPhillips and Alimentation Couche Tard (Circle K). The latter positions consisted of involvement in implementing retail automation solutions for approximately 5,000 convenience stores, truck stops, car care centers and assisting in acquisitions and divestitures as well as overseeing the disposition of the acquired/divested assets. Mr. Santini holds a B.S. degree in Business Management, Information Services and a minor in Operations Research from Clarion University of Pennsylvania, formally known as Clarion State College, Clarion Pennsylvania. My organization provides all IT support to the businesses inside the Cow Creek Band of Umpqua Indians. In 2012 the IT organization was restructured from just the casino and some businesses to overseeing all IT operations for the tribe. I have a staff of 20 Technologists over two different geographical locations supporting over 1,200 employees in the various businesses and government along with a tribal membership of over 1,300. The tribal history of the Cow Creek Band of Umpqua Tribe of Indians is quite impressive and shows the resilience of the people and their culture moving forward. The story is located on their Cow Creek Band of Umpqua Tribe of Indians website. A good resource of information showing how the tribe was forced to disband and collectively were able to reinstate their rights and work as a cooperative partner with the community. 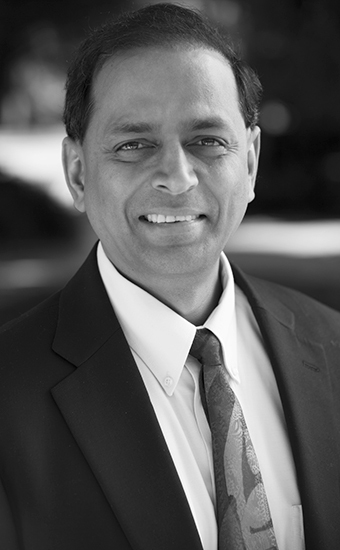 Ram has more than 25 years of experience in IT and has worked at premier companies like Bell Labs, Compaq, Exodus Communications and AT&T wireless. Ram Patrachari is a forward looking IT entrepreneur with extensive experience in implementing and managing highly scalable information systems across a diverse portfolio. Prior to joining Viejas, Ram managed the enterprise devices segment at AT&T wireless. His responsibilities included rolling out state of the art wireless devices to the enterprise wireless segment. In 2015 the IT team from Viejas which he leads won the Tribalnet Game Changers Technology award. In 2012, he was awarded the Top Tech Exec award by San Diego Magazine. In 2010, he was the recipient of the Information Technology Executive of the year award sponsored by the San Diego Business Journal. Also, in 2010 the Viejas Information Technology team won the 3rd Annual Tribal Technology Leadership award sponsored by Tribalnet. Ram holds an MBA degree from Monmouth University and a Masters Degree in Electrical Engineering from Stevens Institute of Technology. Ram has also obtained credentials from the CIO Institute at UC Berkeley’s Haas School of Business and University of Chicago’s Kellogg school of business He is a certified PMP, CISSP and a Certified ScrumMaster. He is also a member of the IEEE Computer Society. Marlon Ortiz, Information Technology Professional. Creative professional with 20+ years of information technology knowledge in the gaming and hospitality industry. Highly skilled in information security, project management and planning with a strong background in data management, security, analytics and technical strategy. A proven leader who understands that the value of IT lies in delivering solutions to complex business problems within the Gaming and Hospitality Industry. A leadership style that emphasizes the development of people, processes and tools to achieve specific strategic business goals. Focused on connecting IT to other departments within the corporation and delivering effective solutions for business costs and operations. Marlon possess a Master’s in Cybersecurity and Information Assurance from The Pennsylvania State University, he also has the following security Certifications; CISSP, CISM, and Security+. Previously held high level IT Management positions at American Casino and Entertainment Properties, the Morongo Casino Resort & Spa, and Harrah’s Entertainment. John Ormond is a 14 year employee of the Chumash Tribe. Starting as a support desk tech, John has held several positions in the Technology Services department leading to his current title of Executive Director of Technology Services. He is known in the gaming technology community to be a skilled practitioner in the strategic application of gaming technology. John is a member of several professional organizations and holds certifications in multiple technology disciplines. He attended Morehouse College on a basketball scholarship and is also accomplished musician. Information Technology professional with over 30 years of experience. I have ventured into entrepreneurial and corporate endeavors that have allowed me to experience many facets of the business world. I have held positions of authority in fortune 500 companies as well as upstart high tech companies. I have proven to be a resourceful and solution driven individual that combines the technical aptitude and the management acumen which elicit an overall confidence from team members, stakeholders and business partners. My ability to understand and assess essential workflow processes and emerging technologies allow me to better address functional requirements without compromising the effectiveness of the business. I became involved with the gaming industry in 2005 after a very distinguished career in the private sector working for the world’s number one credit card processing company and providing technology innovations that transcended their global operations. I am currently the Vice President of Information Technology and a member of the executive team at Cache Creek Casino Resort, which is owned and operated by the Yocha Dehe Wintun Nation. It is a 415,000 square foot property that includes a well-appointed casino, luxury hotel, entertainment venue, restaurants, golf course and many other highly desirable amenities that you would expect from a full-service resort. Angie serves as the Chief Innovation Officer (CIO) for Mille Lacs Corporate Ventures (MLCV). As the CIO, Angie leads the Office of Innovation where she plays the essential role in identifying and delivering industry-changing innovation across all of the Mille Lacs Band owned businesses. Amy Gates has been the Director of Information Technology for the Saginaw Chippewa Indian Tribe for the past 7 years and a member of the IT Department for over 15 years. She is responsible for coordinating the advancement and implementation of technology for the Tribal Government, Soaring Eagle Casino and Resort, Saganing Eagles Landing Casino and most recently the economic development corporation for the tribe. She is the Chairperson of the tribe’s IT Steering Committee. Amy has been a part of opening Soaring Eagle Casino in 1996, Soaring Eagle Resort in 1998, Saganing Eagles Landing Casino in 2007, and is currently working on the opening of Soaring Eagle Waterpark and Hotel. Amy has a Bachelor of Science Degree from Central Michigan University in Computer Science. She has been a TribalNet Advisory Board Member for the past 8 years. Christopher DeCamp has worked in the IT industry since 1996, serving in roles ranging from technical, engineering, management, and executive management. Christopher has been a part of the Win-River Resort Casino team since July of 2006. 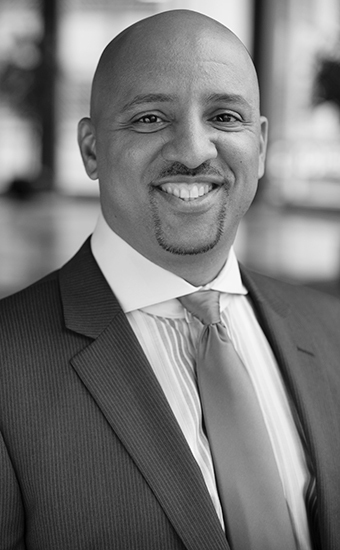 In his current position, Christopher serves as the director of technical services for Win-River Resort Casino, in this role his responsibilities are directing the information technology, facilities, and housekeeping divisions as well as capital project management and construction management. Virgil began his career in Gaming in 1989 with Resorts International. During his 15-year tenure, Resorts International became Sun International then Kerzner International with properties in Atlantic City, South Africa, Dubai, Mauritius, Mexico and the Bahamas. His career there included Accounting, Cage Operations, Marketing, Operations and Information Technology. From 2004 until 2006, Virgil worked at Barona Resort and Casino in San Diego as the Business Analyst Supervisor. During his time at Barona, they were always were looking at bleeding edge technology which resulted in a very intense development and a mature SDLC. Virgil led the conversion from IGS to Bally’s ACSC at that property in 2004 which included typical IT tasks, such as vendor management, testing, hardware requirements, etc, but also included tasks from a business standpoint (i.e. operational and marketing settings, direct user training, etc.). In 2006, Virgil started his tenure at the Chickasaw Nation as the “IT Director of Gaming and Hospitality Applications” (and then IT Executive Director of Gaming and Hospitality Applications). His responsibilities included the Gaming Applications team, Hospitality Applications Team, POS Applications Team, Surveillance Applications/Technical Team. As a leader within the Chickasaw Nation Information Technology department, there are Gaming, Non-Gaming, Hospitality, and Surveillance responsibilities as well that include strategic, technical and transformative decisions. In 2016, Virgil took on a more technical role of IT Sr. Manager – Shared Services. His responsibilities included leading the entire Network, Server, Storage, Power Systems, Database Administration, Communication and Environmental teams that supported the entire Chickasaw Nation. In November of 2018, Virgil went back to Gaming as the IT. Sr. Account Manager. He is the primary IT person for 18 individual gaming, hotel and retail properties.